Beautiful: elegant and well balanced. One of those wines that is hard to describe because it was simply the archetype of good mature vintage port. Perhaps it might even improve with a little more time, just to take off the final touches of immaturity. 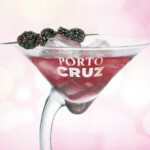 Cr70: the second-darkest port on the table. Hot, very sweet, redcurrant. Rounded full and lovely. Almost mature. Very fine.